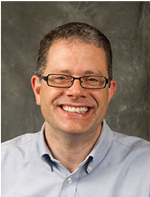 Dr. Charles Nunn is Professor of Evolutionary Anthropology and Global Health. Charlie uses evolutionary approaches to understand and improve human and animal health. He and his research group investigate the ecology of infectious disease, the evolution of sleep, and the links between ecology, evolution and global health. They investigate these topics using phylogenetic methods, mathematical modeling, and fieldwork in Madagascar, Kenya and other locations. 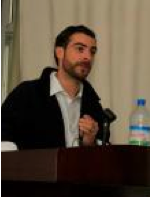 Dr. James Herrera is a postdoctoral associate in the Nunn Lab at Duke University. James is applying his expertise in community ecology to investigate the ecology and evolution of infectious disease in primates and small mammals of Madagascar, including in relation to human land use change. James is also investigating novel questions about the co-evolution of primates and parasites to understand the socio-ecological factors that place species at risk of diseases. Grace Farley graduated with a B.A. in Biology and a B.A. in Studio Art from Swarthmore College in 2017. Grace has researched the mate choice preferences of female grey tree frogs, and the impact of two different photosynthetic symbionts on the light response behavior of their clonal anemone host. In addition to her work with TriCEM, Grace is the Lab Manager in the Patek Lab, where she studies the behavior and mechanisms of super-fast animal movement. Courtni France is in the Masters Program in Bioethics and Science Policy at Duke. She completed her undergraduate degree at Ohio State University, with a B.S. in Anthropology. After completing her degree, she served as an AmeriCorps member at University Hospitals in Cleveland, Ohio, with a focus as a tobacco cessation coach in the MacDonald’s Women’s Clinic. Her time at Women’s Health reinvigorated her passion for maternal and infant care and furthered her interests in the social determinants of health. 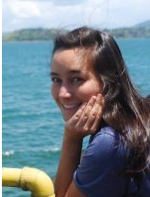 TriCEM was a natural home for her, as it allows her to apply anthropological perspectives to healthcare and medicine. 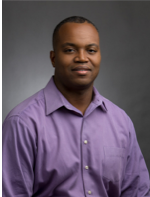 Dr. Antonio T. Baines is a cancer pharmacologist interested in identifying and validating novel molecular targets in cancer for potential therapeutic interventions. 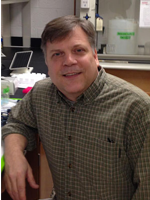 He is an Associate Professor in the Department of Biological and Biomedical Sciences, with a joint appointment in the Cancer Research Program at North Carolina Central University’s Biomedical/Biotechnology Research Institute (BBRI) and adjunct Associate Professor in Pharmacology at UNC-Chapel Hill. He studies numerous molecular targets that are involved in pancreatic cancer, such as aberrant cell growth and drug resistance. 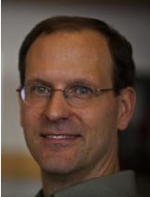 Dr. Brian Wiegmann is William Neal Reynolds Professor of Entomology at North Carolina State University. His research involves the phylogeny and evolution of flies and other insects using genomic data and phylogenetic analysis tools. A major goal is elucidating the genetic changes and adaptations that accompany or cause species biodiversity. Projects in the Wiegmann lab involve comparing genes and genomes in flies with specialized feeding habits—especially those that affect humans and livestock as blood feeders and disease vectors, such as mosquitoes, horse flies, sand flies, and stable flies. 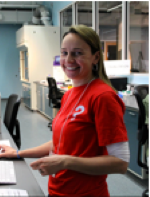 Dr. Julie Horvath is a comparative evolutionary genomicist interested in the evolutionary forces that have shaped primate genomes and that cause human disease. She is a founding member of the Duke University Primate Genomics Initiative, a joint partnership between the Department of Ev. Anth. at Duke University and the Institute for Genome Sciences & Policy. She is now the Director of the Genomics & Microbiology Research Laboratory in the Nature Research Center, NC Museum of Natural Sciences, and is jointly appointed as Research Associate Professor in the Biology Department at NC Central University. Dr. Corbin Jones is an Associate Professor in the Biology Department as well as an Associate Professor of the Carolina Center for Genome Sciences (CCGS). The goal of his research is to identify, clone, and characterize the evolution of genes underlying natural adaptations in order to determine the types of genes involved, how many, and what types of genetic changes occurred, and the evolutionary history of these changes. His lab aims to develop new methods relevant to the study of evolutionary genomics including theoretical, bioinformatic and statistical approaches.